(including the ARV) were sold to the Australian Army. The ARV served with the Australian Army in Vietnam while the others were used to rebuild Centurions damaged in that conflict. Of those kept in New Zealand two were preserved and two ended up as targets on the ranges at Waiouru. 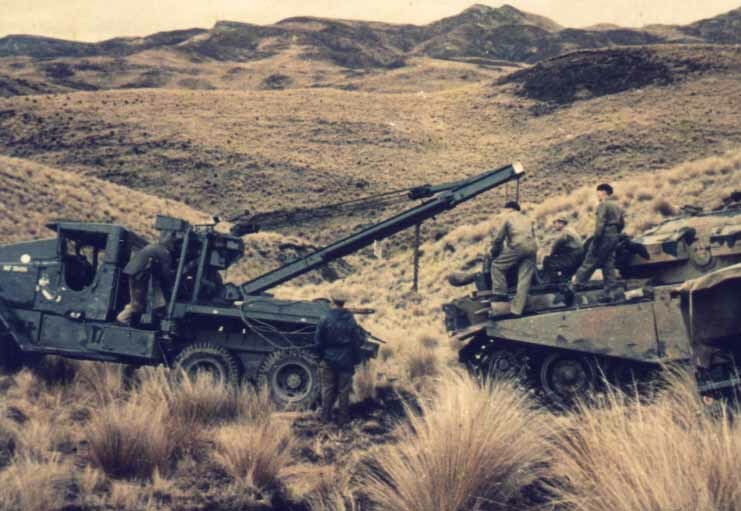 Removing the engine from a Centurion at Waiouru in the 1960s. This particular vehicle is completed in a disruptive camouflage scheme. 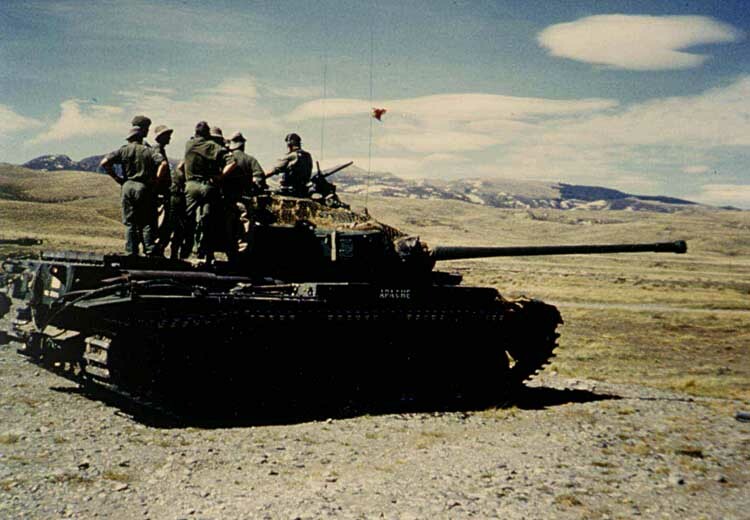 It is believed that at least one vehicle was so finished to be used as an aggressor vehicle for training purposes. 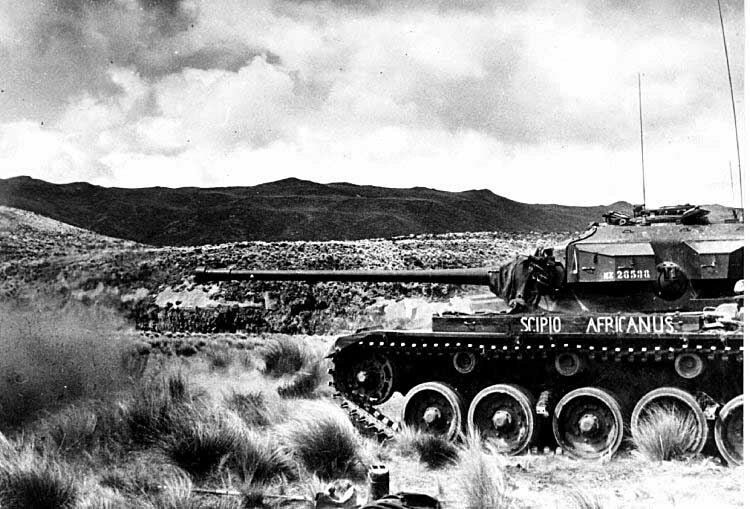 'Scipio Africanus' shortly after its arrival at Waiouru. It is still sporting its WD number T352176. "Scipio Africanus" (NZ28538) when it operated with the School of Armour at Waiouru in the early 1950s. It carries the School insignia on the turret an A Squadron diamond, divided vertically red on the left and yellow on the right. "Scorpion" (NZ28374) at Waiouru when it was part of Queen Alexandra's Squadron in the late 1950s. 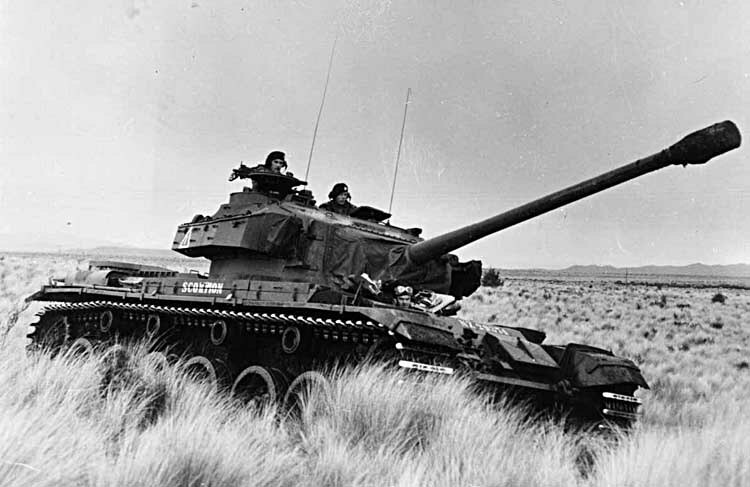 "Scorpion" now renamed "Apache" with 1 Armoured Squadron at Waiouru in the 1960s. The unit serial 2 inside a square divided horizontally red over yellow. 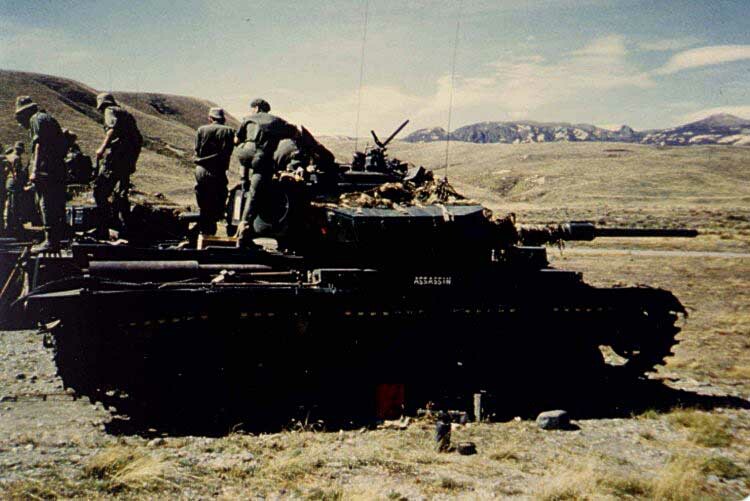 One of the Centurion 5s ("Assassin) purchased in 1963 from Hong Kong with 1 Armoured Squadron at Waiouru.